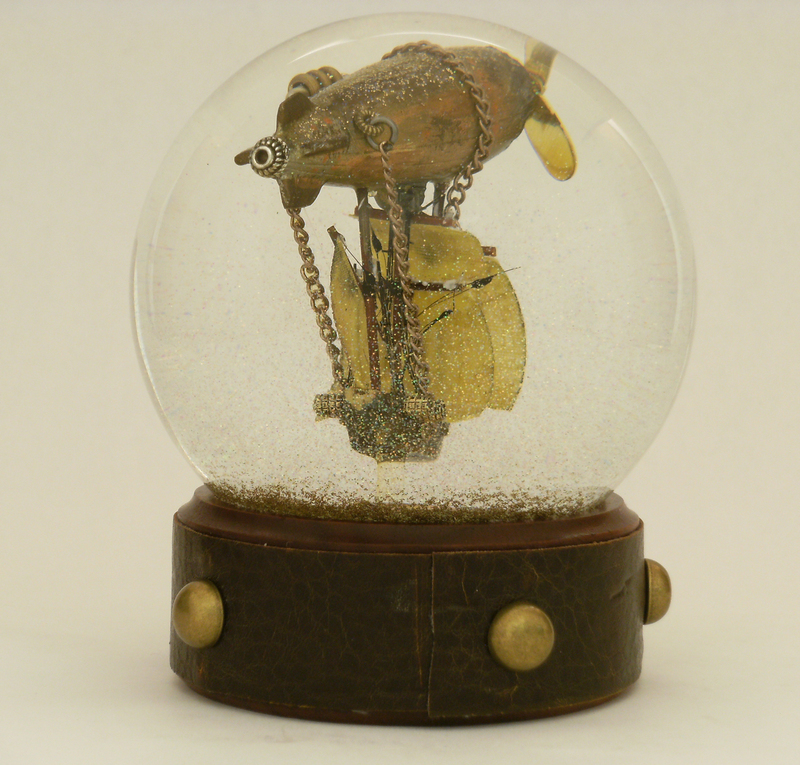 The funny thing about this snow globe is … I was trying to remake a particular favorite globe. It didn’t seem like such a big request, after all, I’d done it once before. On the other hand, sometimes the sequel IS better than the original. The biggest and most interesting difference (to me) is the attempt to weather the ship to show it had been places, seen things, survived adventures and come home to tell the tale. Paint and stain was used to indicate wear and tear, repairs and how the elements might affect an old airship through the years. 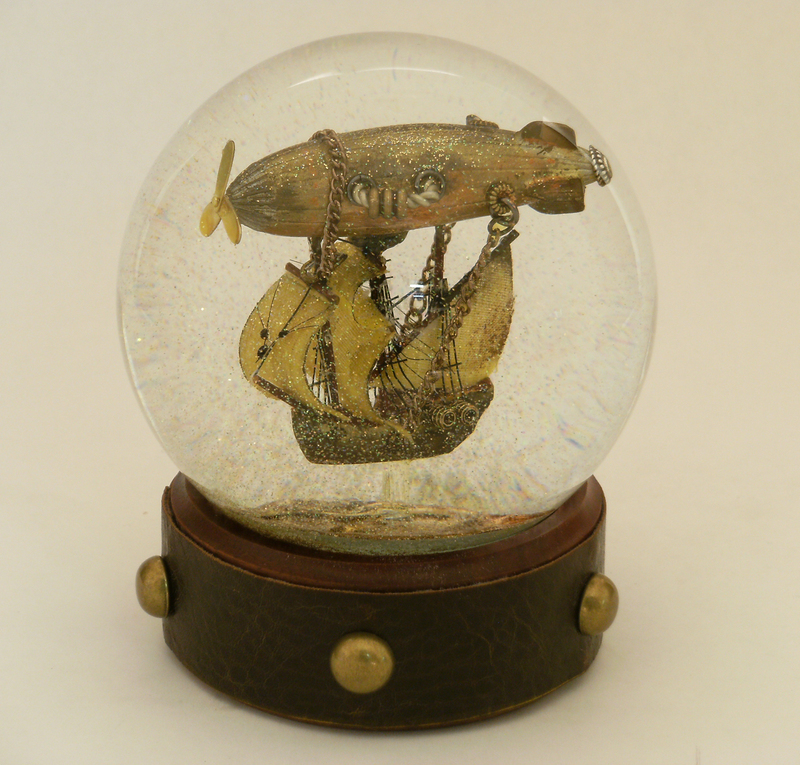 The original sculpture is tiny, as evidenced here before it was inserted into the glass globe and liquid. Yes, just over 2 inches. 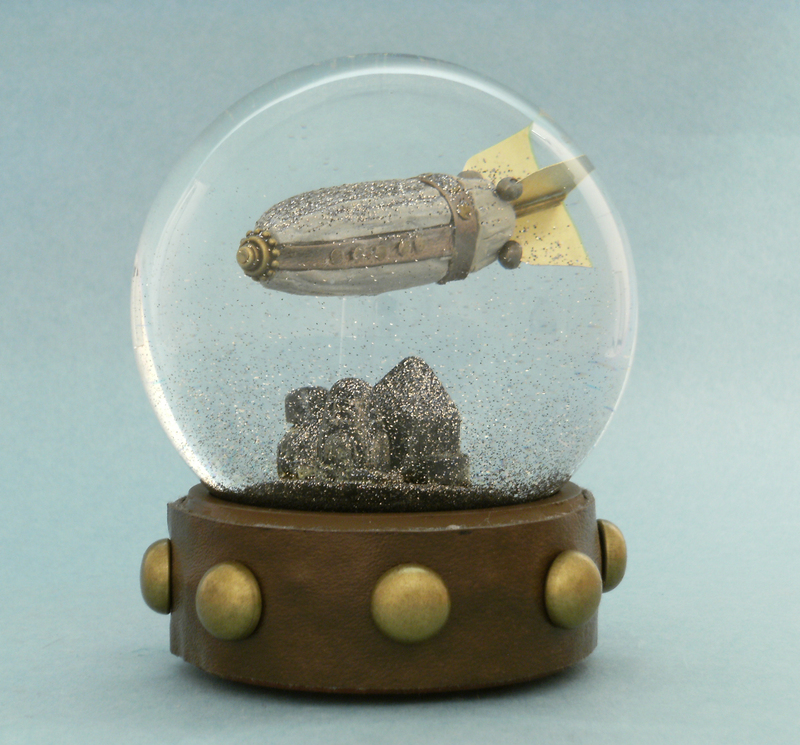 When shaken, the snowglobe fills with glittering swirls of metallic (mainly gold) dust, which shimmers and floats very slowly to the base, creating an illusion of perhaps sailing in the clouds near sunset, or a world with industrial smoke and residue. 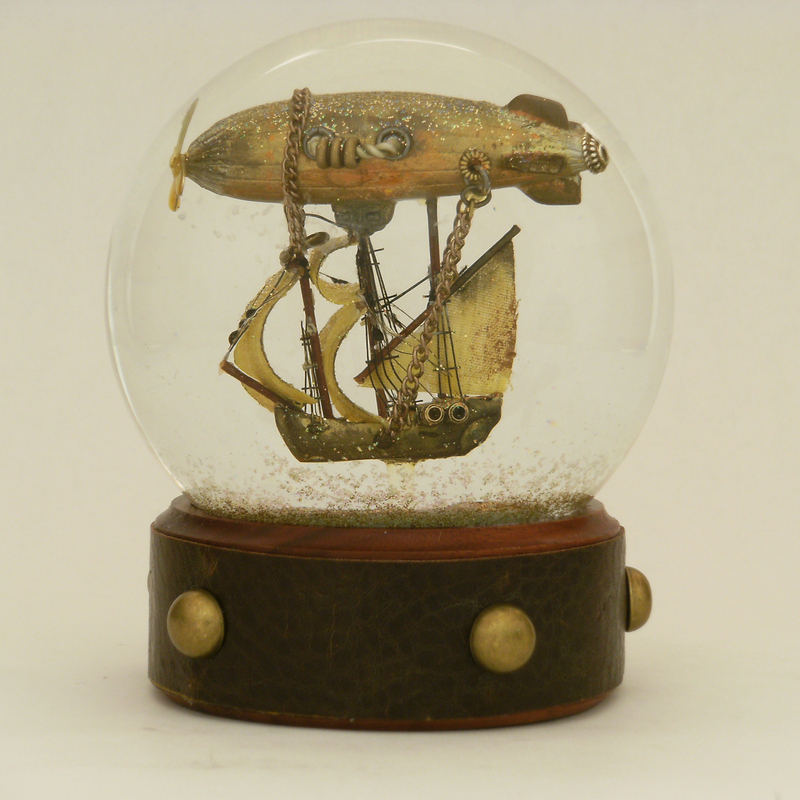 Detail of the waterglobe (snowglobe), showing the propellers on the nose of ship, followed by the tail view, as the ship sails off to a new adventure. 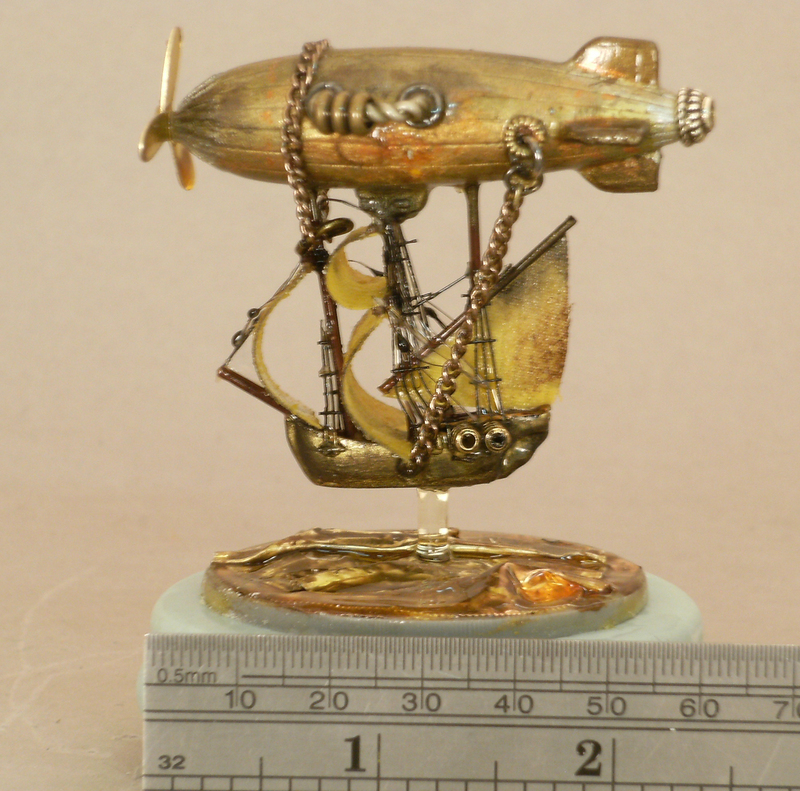 My friends in the steampunk world are often fascinated with airships, dirigibles, and zeppelins. 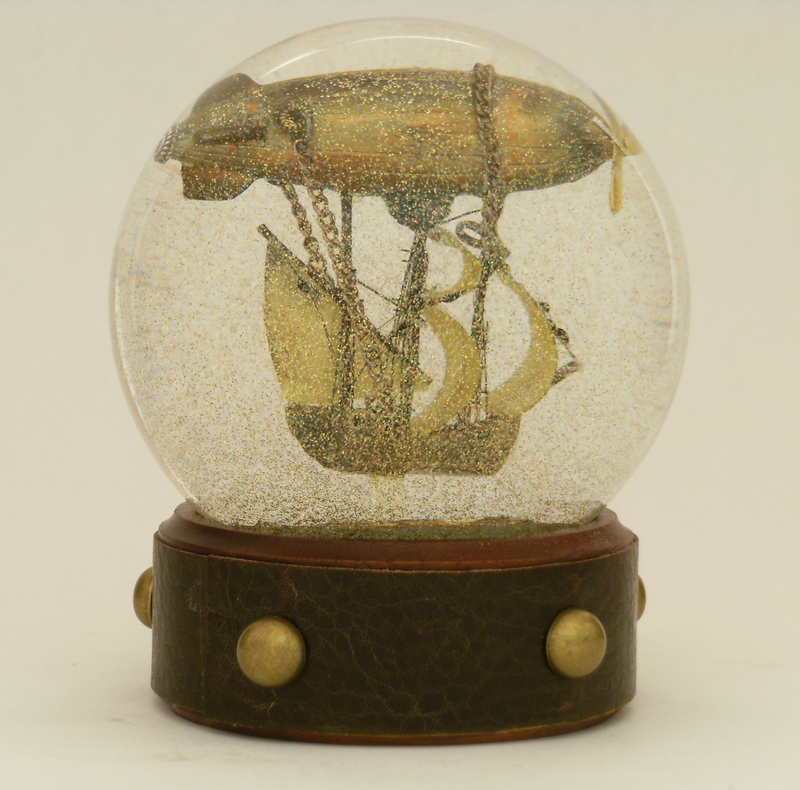 I wanted to see if it would be difficult to sculpt a tiny steampunk airship to fit inside a waterglobe/snowglobe. 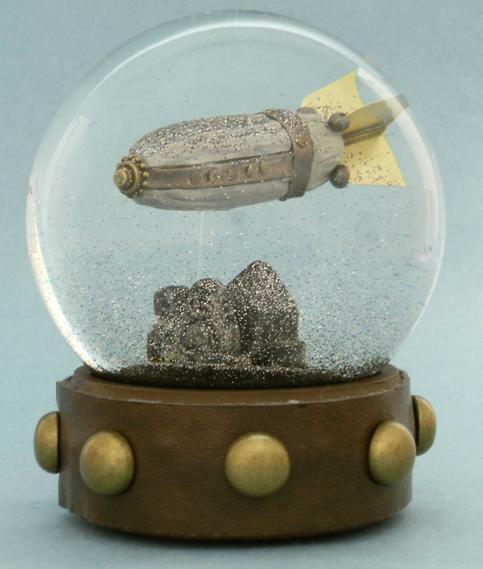 The airship floats over smoky city rooftops. If you look closely, you can see the roofs are recognizable buildings: New York’s Chrysler is one of them. 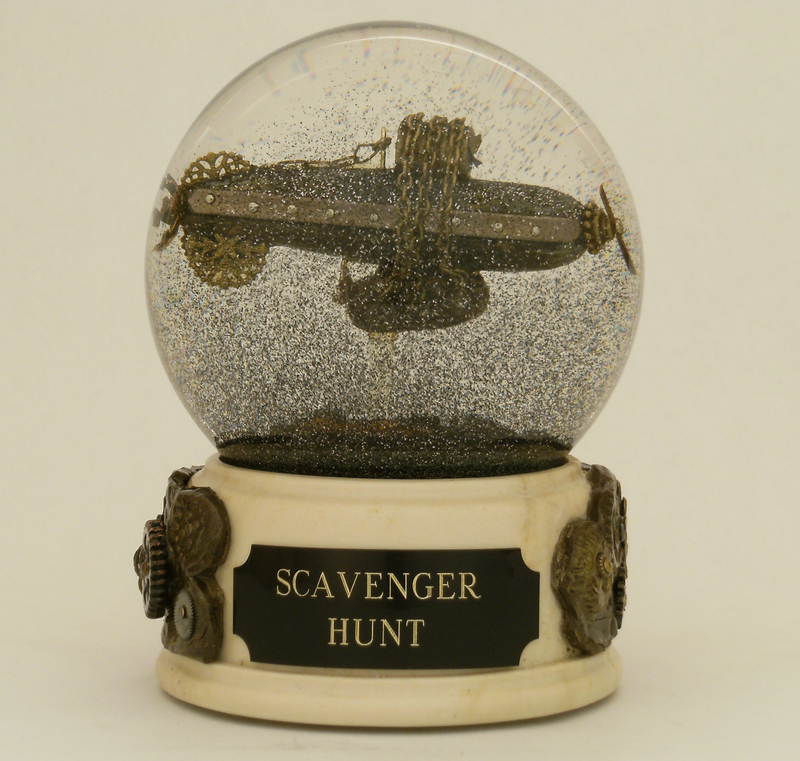 This “snowglobe” does not have snow, but when shaken, sooty smoke and sparkly black dust glitters in the liquid.